Raspberry Rainbow: Some thing new is coming: lets reduce our plastic use, one straw at a time. 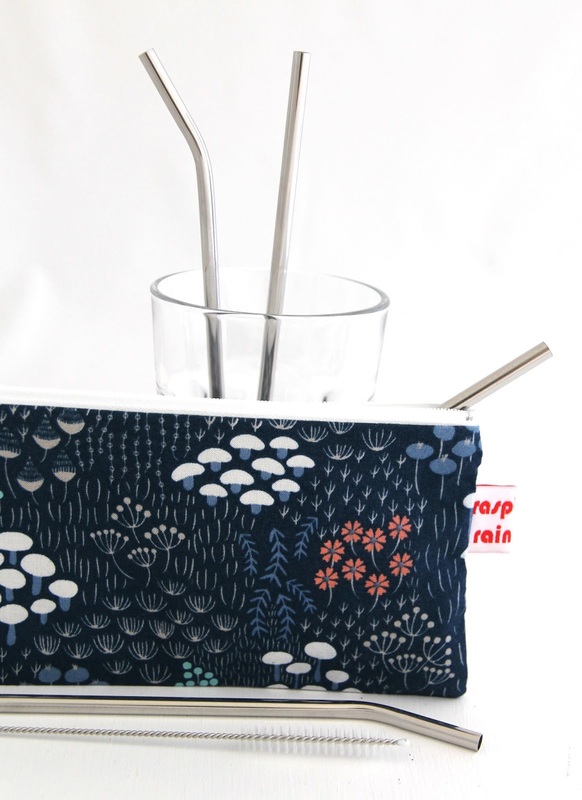 Some thing new is coming: lets reduce our plastic use, one straw at a time. We are trying to help the environment by no longer using plastic straws. Plastic straws are a single use item that we can easily stop using. 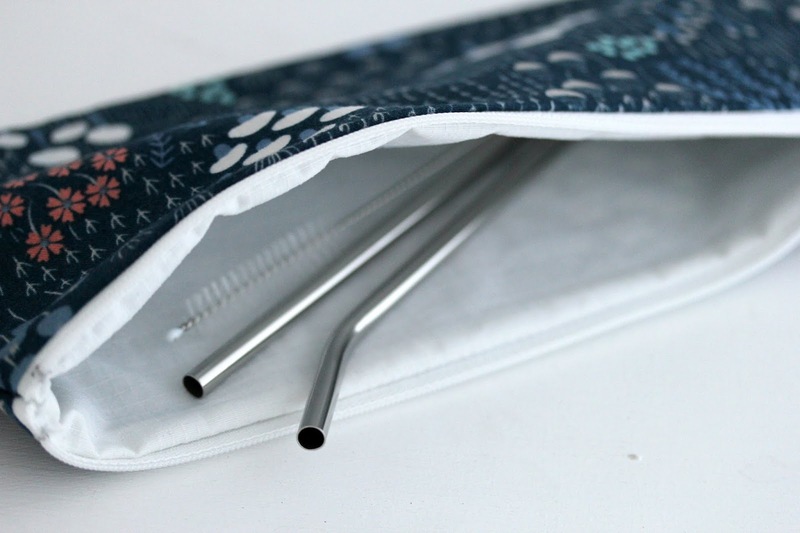 There are many alternatives that are reusable, such as stainless steel straws. They can be used over and over and are easily washed. 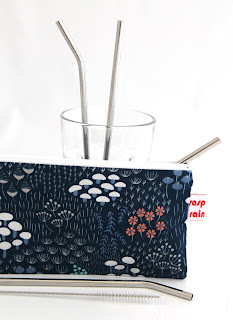 I bought some stainless steel straws for us a few months ago, but realised right away that I did not want dirty straws floating around in my handbag. 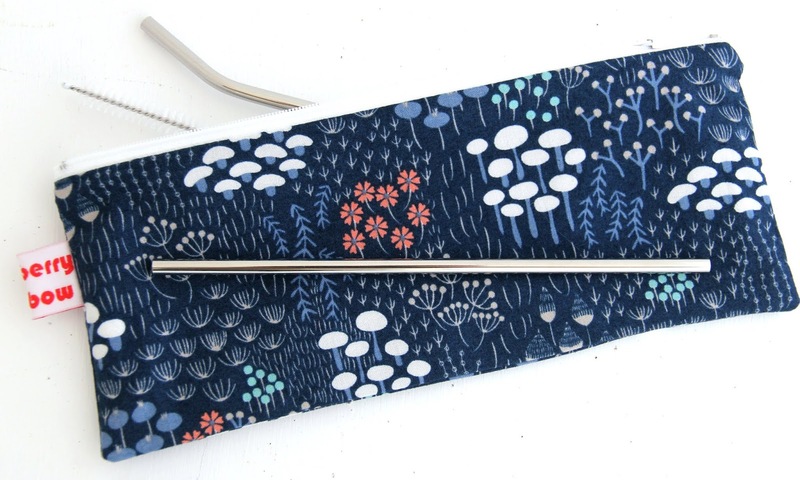 So I designed a new zippered bag to perfectly fit stainless steel straws in (and some light weight cutlery, too). The zippered bags have a waterproof lining that can be wiped clean or the whole bag can be washed. No more plastic straws or cutlery for us. This is one more small step to help save our planet from all the plastic. They can be found in my etsy shop, more fabric choices will be added soon. I am selling stainless steel straws and cleaning brushes too.